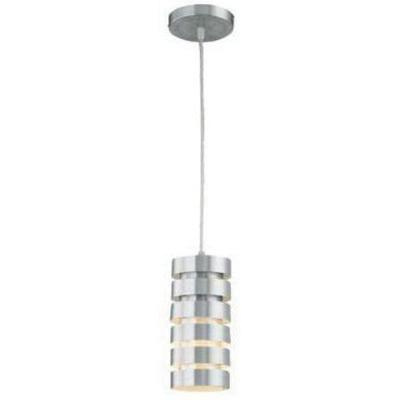 Lite Source Tendrill Collection Pendant light in aluminum finish, features sliced metal body. Glass shade brings elegance to your interior. This round light accommodates one 60-Watt A-19 lamp. The E27 medium socket lamp has voltage rating of 120-Volts. Ceiling mountable light measures 4.5-Inch Dia x 9.5-Inch.